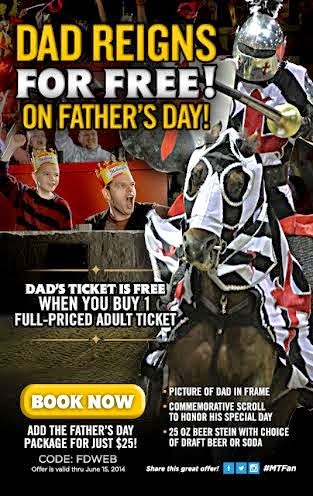 GIVEAWAY: One lucky Bluebird Patch reader will win 4 tickets for dinner & tournament at Medieval Times Atlanta. To enter just tell us how do you celebrate Father's day! Don't forget to register your entry using our giveaway widget! Disclosure: I was not compensated for this post. The prize sponsor will send prize to the winner. The Bluebird Patch is not responsible for prize. All opinions expressed are 100% mine.